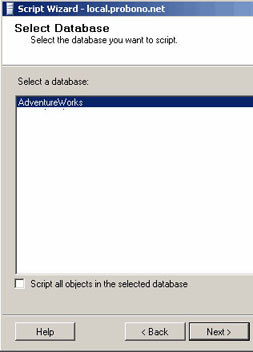 That stored proc generates server stats, and depending on the stat results, it will fire off the alerts in SQL Server. If that instance of that stored proc hangs or has abnormally high CPU, just kill it. The agent will fire it again when needed. Also, by default, SQL Server comes with a set of alerts that the server can use (called, “Demo”). I would keep the alerts active if possible and see what alerts are being triggered and why – check logs. There was also a bug on SQL Server 2008 that was fixed that stemmed from this proc causing high CPU, even if all Alerts are disabled. I’m not sure if this fix applied to SQL Server 2000 with latest SP. If you are to run the following query, since you are using ContentID as part of the WHERE clause, you want to put the ContentID’s index at the top of the indexes/key in SSMS. It speeds up retrieval. Also put RemoverID below that – test with viewing the execution plan first to see if it makes a difference. Remember, the more indexes you add, the more it takes to update the index. And let’s say that AreaID is a clustered index and ContentID is a non-clustered index. If ModifierID is not an index of any kind, it would function as a “bookmark lookup” in this query. To not use a “bookmark lookup,” use a Covered Index, which clumping the Modifier column with ContentID and turning both into a Covered Index (a kind of composite index). 3. This is the hidden part. Set “Script Data” to true. 6. 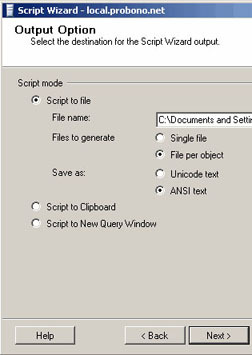 You can script out a table script per file or as a single file. I prefer ANSI text. Here’s schema for it. You can download the full script with the data as well. Logical diagrams are to convey requirements only. Physical diagrams represent the actual data structure to support the requirements and take into account technical scalability and speed. Edit: I hate the way I had to format this document for this blog post. If you want this tutorial better formatted, check out the Word document. On ER/Studio, two tables are created. The Store table has a primary key StoreID. 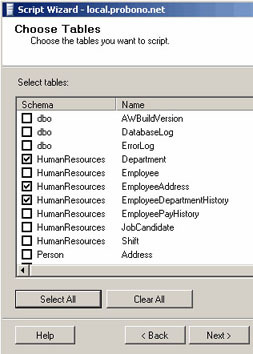 The Manager table has a primary key, ManagerID and a foreign key, StoredID (which is mapped to StoreID from the Store table). 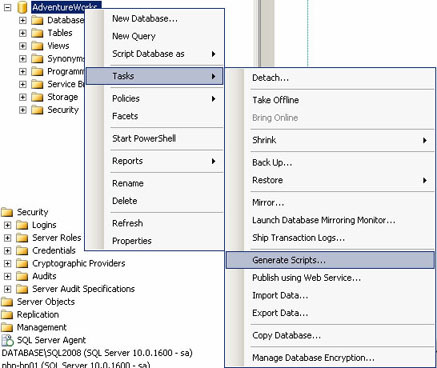 On SQL Server, two tables are created. The Store table has a primary key StoreID. 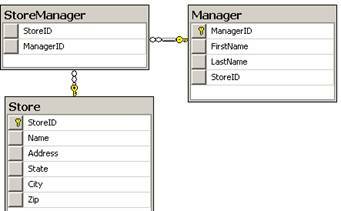 The Manager table has a primary key, ManagerID and a foreign key, StoredID (which is mapped to StoreID from the Store table). If you allow NULLs for StoreID in the Manager table, then you’ll be able to have a Manager without a store. If you don’t allow NULLs (leave it unchecked), then you’ll have to have at least one Store assigned to a Manager. Notice the NULL for Steamboat Willie. He doesn’t have a store, so all Store related fields show as NULL. In order to implement this physically, you need a join table. In this case, we use StoreManager. Logically, you only need only two entities (Store and Manager). 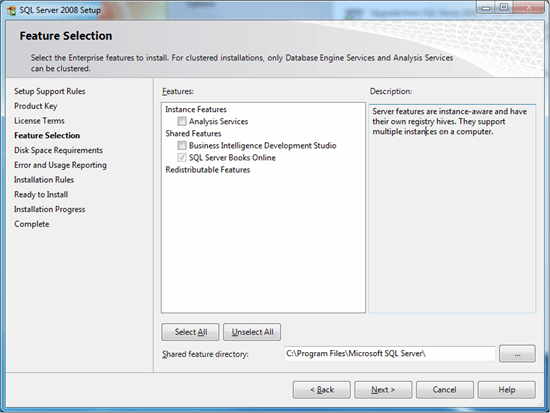 On SQL Server, three tables are created. The Store table has a primary key StoreID. The Manager table has a primary key, ManagerID. The table StoreManager has two foreign keys: StoredID (which is mapped to StoreID from the Store table) and ManagerID (which is mapped to the ManagerID from the Manager table). If you allow NULLs for StoreID and ManagerID in the StoreManager table, then you’ll be able to have a Manager without a store. If you don’t allow NULLs (leave it unchecked for both), then you’ll have to have at least one Store assigned to a Manager. Most of those things can be done via the GUI version of the tool. The product also comes with a command line version, which you can use it in your build script. 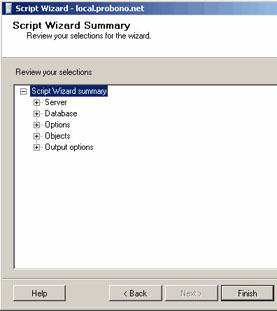 To compare two databases and generate a report via the command console, you can do the following. The reason there’s so many switches is because you need to enter the database name and credentials for the two databases. Java Pairs Well with Which Database? In the same way there’s a tight bond between MySQL and PHP, SQL Server and ASP.NET, SQL Server and ColdFusion – what goes well with Java? Oracle? Being curious, I started searching in employment web sites. I searched for “Java” and one of these databases: Oracle, MySQL, SQL Server and PostgreSQL. 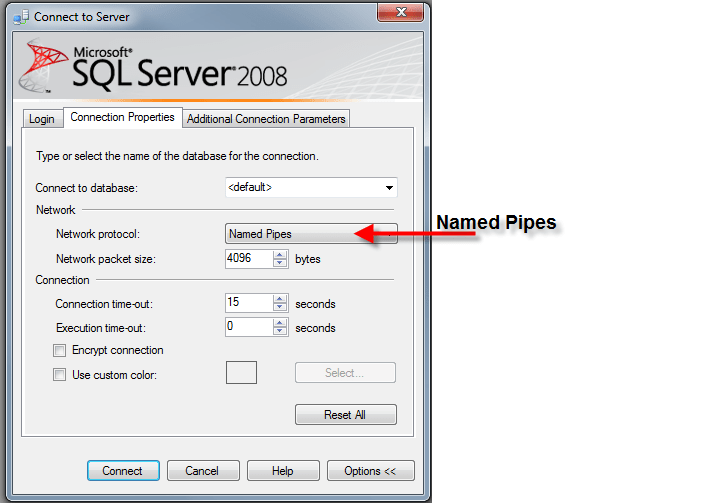 (I put in “SQL Server” using quotes.) The sites used were: craigslist, Monster.com, Dice.com, and Yahoo! Hotjobs. The numbers signify how many job entries were returned. So it does seem Oracle goes with Java. Also I noticed how many people call “SQL Server” just “SQL.” Sort of confusing and hard to tell if they’re referring to the platform or language. 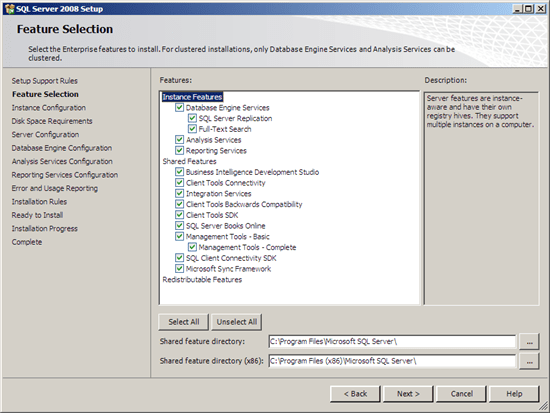 Recently I’ve had to install SQL Server 2008 on a few machines. Some of these errors made absolutely no sense, but I found solutions that worked for me. Maybe they’ll help you. That sounds pretty self-explanatory, right? Actually, this was the easiest error to make sense of. 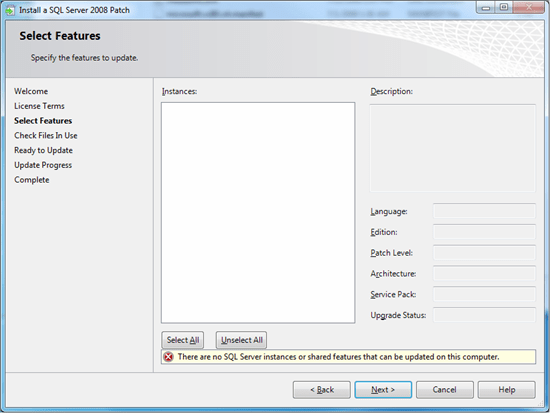 This is the error you get because SQL Server 2008 is not compatible with Windows 2000 Server. It comes from the fact that SQL Server 2008 needs .NET 3.5+, and that version of .NET is not Windows 2000-compatible. Surprisingly, I received no errors while trying to install it on Windows XP. Everything went fine with Windows 2003 Server. I noticed that this arises if you have the focus on another Window while the installer is running. I was browsing the web via Firefox and I received this. To make sure you don’t get this, don’t have any other Window running and only have the focus on the installer. What the heck?! Where are the features? Ugh, still no luck. Finally, the only thing that I could conclude was that I may have a bad installation. So I restored my machine to an earlier restore point (to undo this installation mess) and re-downloaded the installation files. Voila! No more problems. So that’s what it was. I was finally able to see all the features to install. So maybe the files got corrupted upon download or it was an incomplete download. They can be handy sometimes if you want to modularize your code for the life-time of a routine. To create a temp stored procedure, all you do is use the # sign before the name of the sproc. Same concept as a temp table. Only the owner can execute it and its life is that of the session. Here’s an example that uses the Northwind db. Your next question maybe if you can create temp user defined functions? The answer is a big juicy delicious, “NO!” (at least as of SQL Server 2008 Enterprise). You get a result that may not be too pretty. In this case, use PRINT rather than SELECT, since SSMS strips out line breaks to squeeze it in the cell. 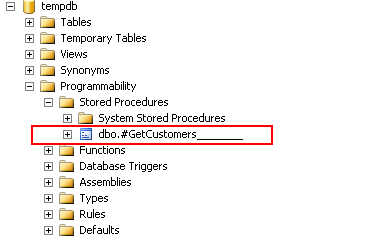 Now, I do longer search this way since every day I have a job that writes out all DB objects (tables, sprocs, etc.) to a individual files and they get indexed via Copernic Desktop Search. I script them out using SQL Compare. 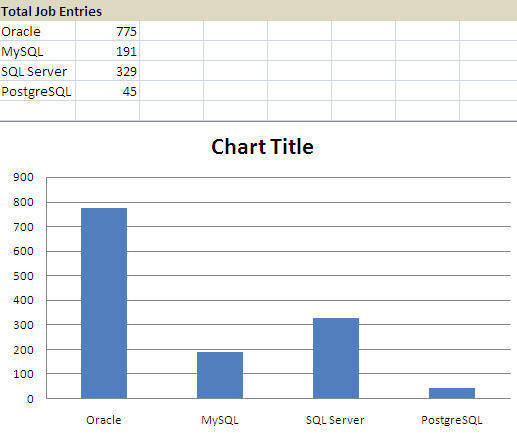 Currently I use RedGate’s SQL Data Compare to see differences in data across databases. It’s a great product. One thing I love about RedGate is the usability of their products. All of them are intuitive and easy to use. What if you don’t have the cash to do this though? FROM    #table1 -- returns 10 records. You get a result set of 20 records if those 10 records in the table1 statement are in table2. You can think of it as subtracting records from table2 that are in table1. You will get the end result of 20 records. The following statement builds on that taking the end result and putting it back into table1. This is useful if you want to sync an outdated table (in this case table1) with another table that has additional records (table2). Other tools to compare data across tables: CompareData may let you do what you want, and its table compare is free unlimited, I believe, for the evaluation version. The great thing about this tool is also that it will check results of two SQL statements / stored procs. Useful when unit testing. Also you can use TableDiff.exe in your “C:\Program Files\Microsoft SQL Server\90\COM” directory. Learn more about it at the SQL team website. I can’t say how many various problems I’ve had connecting to SQL Server. I’ve lost count at this point. This was the last one I had, which I’ve encountered a number of times and always successful to fix it. 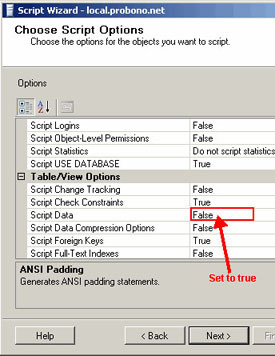 A network-related or instance-specific error occurred while establishing a connection to SQL Server…. Still wondering why I have to do this, as I’ve never had to explicitly select the protocol before, and nothing on the server has changed in years. Will continue to investigate. I love this tool. 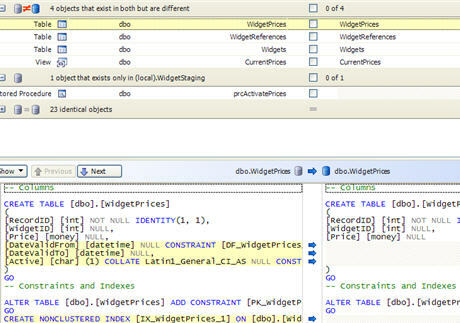 It’s a free add-on if you own SQL Prompt, RedGate’s version of intellisense, which is better, in my eyes, than Microsoft’s. 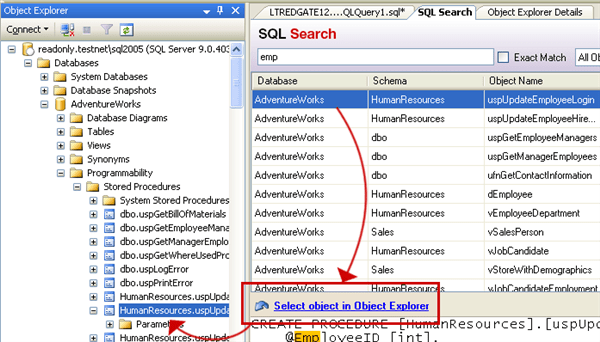 It uses SQL Prompt’s FTS collection to search for any piece of string in any DB object. It’s crazy fast. What I like the most though, is the ability to right click on a result, and move the focus to appropriate DB object in the explorer panel. Hit CTRL+ALT+D to trigger the search screen and start typing away. 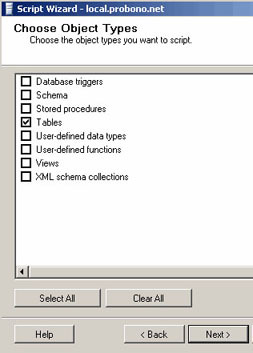 In my last project, there was a bit of data scrubbing on the database side (SQL Server 2008) that I decided to create a few UDF’s that function similar to ColdFusion’s Lists function. The one that varies a little bit is ListLen(), since I needed to take into account empty tokens. The ChopIf() was inspired by Perl’s chop() function. These UDFs should be SQL Server 2005-compatible. I should say though, that some of these functions depend on each other. ListLen(), GetToken(), and ChopIf() are independent. -- except it currently only sorts strings. -- Because of nature of Rank(), we can't set @sortedList in this statement. -- Have to separate it into another select clause. -- takes into account empty tokens. -- as an empty token. — Gets token value that's been separated by a delimiter. — Returns the first item in a tokenized list. — Functions similarly like ColdFusion GetToken() Function. Can’t stress enough how handy database snapshots (compatible only in Enterprise and Developer editions of SQL Server 2005+) come in when testing bulk imports, data scrubbing, or any sort of data / schema modification script. In nearly no time, I can create a snapshot (via shortcut snippet), run my script – don’t like the results? My script crapped out the data? I can run an instant undo by recovering from the snapshot, which works pretty fast. If I want to create another snapshot, I usually tend to overwrite the snapshot I created, and then create it again. Deleting a snapshot is just like dropping a database.